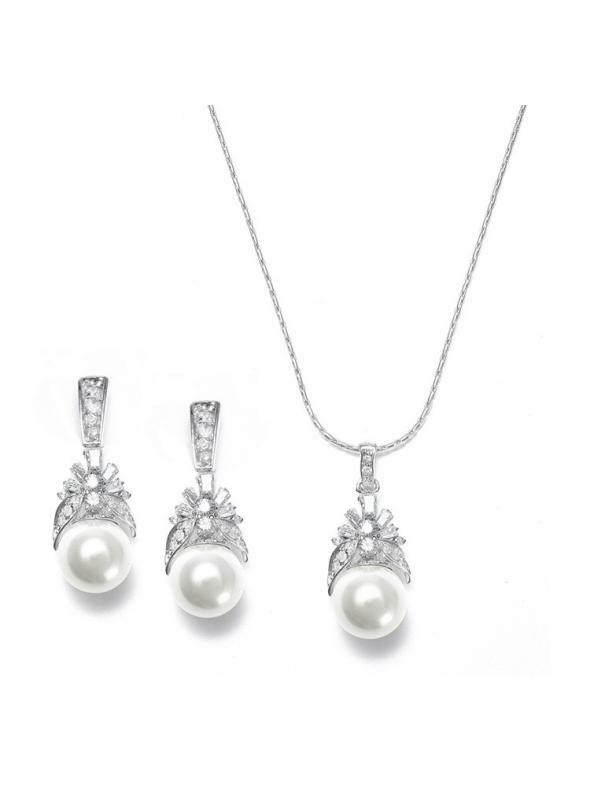 An exquisite Art Nouveau romantic earrings and necklace set measuring 16'' with a 1 1/4'' pendant and 3/4'' h earrings, perfect for your wedding, party or gala. 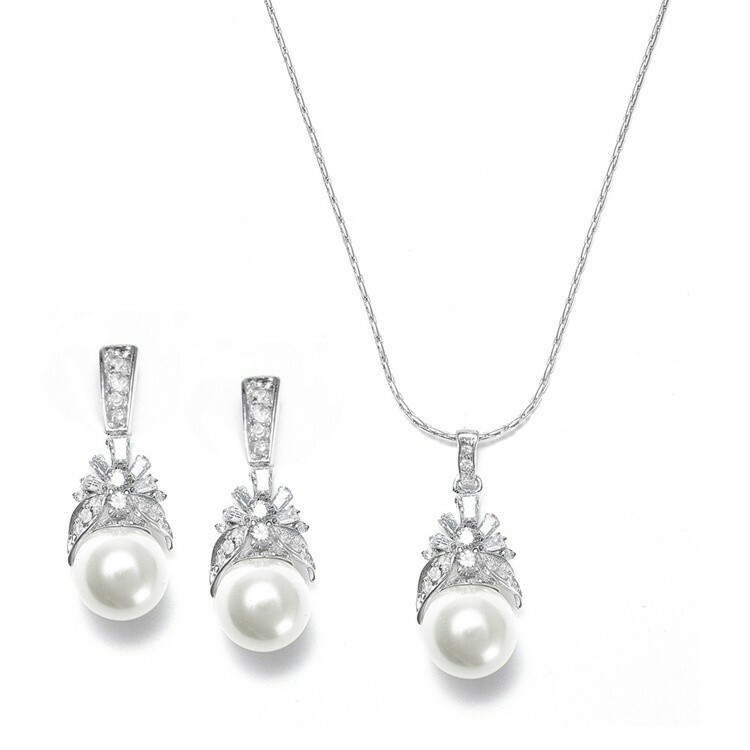 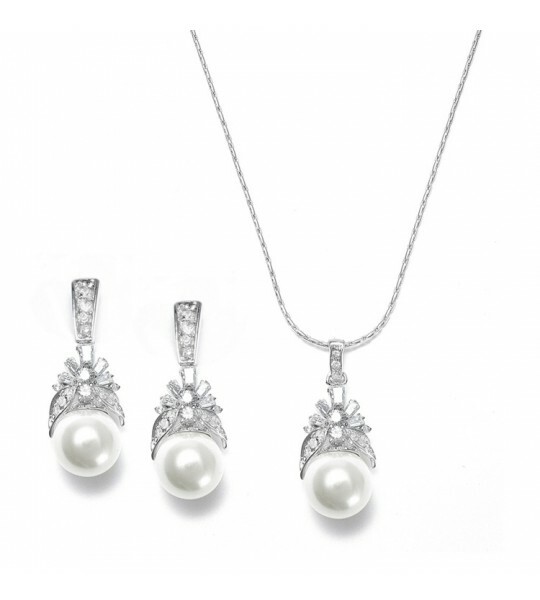 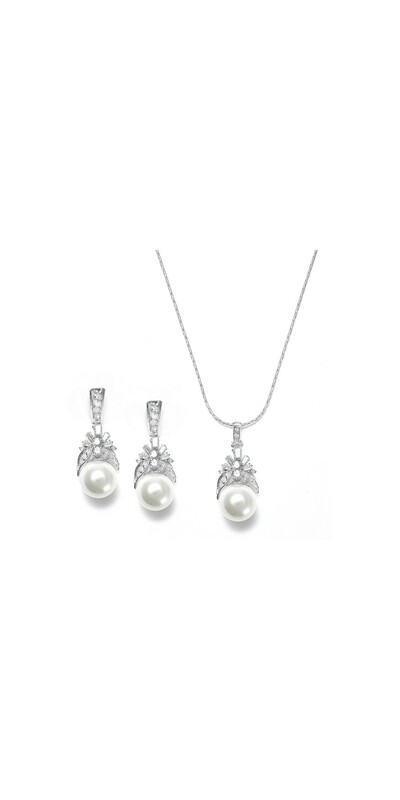 Featuring cubic zirconia baguettes and soft creme pearls, this vintage inspired necklace set is the perfect accessory to match your Titanic or Downton Abbey inspired dress to create the perfect outfit for your special event. The set also includes a complimentary leatherette store display easel.